Recent component miniaturizations and weight reductions have brought wearable exoskeletons into reality. Join Mouser Electronics as we investigate the newest mobility enhancements provided by sensor based, powered and passive exoskeletons. Global distributor Mouser Electronics is now stocking the MPLAB Snap in-circuit debugger and programmer from Microchip Technology. The MPLAB Snap provides affordable, fast, and easy debugging and programming of most PIC, AVR and SAM flash microcontrollers and dsPIC digital signal controllers (DSCs), using the powerful graphical user interface of MPLAB X integrated development environment (IDE). The Microchip MPLAB Snap board, available from Mouser Electronics, features a powerful 32-bit 300 MHz SAM E70 Arm Cortex-M7 based microcontroller for quicker debug iterations. The debugger system executes code, like an actual device, because it uses the target device’s built-in emulation circuitry, instead of a special debugger chip. All available features of the device are accessible interactively and can be set and modified by the MPLAB X IDE interface. Additionally, the board matches the silicon clocking speed of the target device, allowing engineers to run programs at the device’s maximum speed. The board connects to a computer via high-speed USB 2.0 interface and can be connected to the target device through an 8-pin single in-line (SIL) header. The connector uses two device input/output (I/O) pins and the reset line to implement in-circuit debugging and In-Circuit Serial Programming (ICSP™) capability. Along with its support for a wide target voltage range of 1.20 V to 5.5 V, the MPLAB Snap supports advanced interfaces such as 4-wire JTAG and Serial Wire Debug with streaming data gateway. It is also backward compatible for demo boards, headers and target systems using 2-wire JTAG and ICSP. We knew it was only a matter of time before we covered a board from Luxembourg, and that time has come. Rodange, Luxembourg based Upsilon Engineering, which is led by embedded engineer Yann Leidwanger, has gone to Kickstarter to launch its BioControle add-on board for the Raspberry Pi 3. The board can be used as a general purpose I/O and DAQ add-on but is specifically designed as a control board for aquaponics and hydroponics gardening. (click images to enlarge)The BioControle, which we spotted on Geeky Gadgets is available for 76 Euros ($89) through Oct. 17. Assuming Upsilon can raise another $7,000, shipments are expected in November. (click image to enlarge)The BioControle is a more general purpose offering than the recent Autogrow OpenMinder root zone monitor HAT for the Raspberry Pi, which includes software that helps manage water, pH, and nutrient usage in hydroponic farming. The proof of concept was developed for an aquaponics project at the Thilab FabLab based in Thionville, France. Leidwanger then built a prototype with additional features that also supports hydroponics and other projects that need a mix of servos, sensors, relays, and I/Os. All interfaces are said to be protected against reverse polarity, undervoltage, and overvoltage. It also offers “full protection between your application and your Raspberry Pi” with the help of buffers, level shifters, protection diodes, and serial protection resistance,” says Upsilon. The board provides 5 V and 3.3 V power supply supervisors “connected on LED and Raspberry Pi input,” and can run on a standard 230VAC adapter. (click images to enlarge)The prototype has been thoroughly bug-tested, but Upsilon needs funding to build a v2.0 model that improves the servomotor headers, which are designed to dispense fish food on aquaponics systems. It also removes a second power supply header and several capacitors. The BioControle is available on Kickstarter for 76 Euros ($89) through Oct. 17. Volume discounts are available, and assuming the project is funded, shipments are expected in November. More information may be found on the BioControle Kickstarter page and the Upsilon Engineering website. This article originally appeared on LinuxGizmos.com on September 18. MEN Micro has announced the CM50C, a low-power, compact, Rugged COM Express module that was developed around the Intel Atom E3900 series of processors. Due to the low power consumption, the virtualization support of the processor and the safe board management controller, the module is a multifaceted solution for individual designs in harsh environments and safety-critical applications. The CM50C is a COM Express Mini module for rolling stock, public transportation and industry applications. It is compatible to COM Express Type 10 Pin-Out and conforms to the VITA 59 standard which specifies the mechanics to ensure reliable operation in harsh environmental conditions. In accordance with the Rugged COM Express standard, the CM50C is embedded in a solid aluminum frame that protects the electronics from environmental influences such as humidity, dust, vibrations or EMC radiation and also enables operation in the extended temperature range from -40 to +85°C via conduction cooling. Based on the Intel E3900 CPU series with a low power dissipation of 7 W to 16 W, the CM50C provides a scalable performance up to 4 cores and integrated quality graphics. It also offers Intel VT-x virtualization support. This allows to run multiple applications on a single hardware platform, saving physical hardware and costs. The board management controller provides enhanced reliability, reduced downtime and is certifiable up to SIL 2. With the Trusted Platform Module and the secure/ measured booting features fast cryptographic execution is supported. The CM50C comes with a large variety of interfaces, including, for example, Digital Display Interfaces, HD Audio, PCI Express and Gigabit Ethernet. This enables implementing many functions on a very small form factor. The processor’s 15 years long-term availability ensures an extended product life and future-safety for a wide range of applications. For less demanding applications, a standard COM Express variant without frame is also available. Digital Signage (10/30) Digital signage ranks among the most dynamic areas of today’s embedded computing space. Makers of digital signage players, board-level products and other technologies continue to roll out new solutions for implementing powerful digital signage systems. This newsletter looks at the latest technology trends and product developments in digital signage. Analog & Power. (11/6) This newsletter content zeros in on the latest developments in analog and power technologies including DC-DC converters, AD-DC converters, power supplies, op amps, batteries and more. Microcontroller Watch (11/13) This newsletter keeps you up-to-date on latest microcontroller news. In this section, we examine the microcontrollers along with their associated tools and support products. IoT Technology Focus. (11/20) Covers what’s happening with Internet-of-Things (IoT) technology–-from devices to gateway networks to cloud architectures. This newsletter tackles news and trends about the products and technologies needed to build IoT implementations and devices. Maxim Integrated Products has announced the MAX17262 single-cell and MAX17263 single-/multi-cell fuel-gauge ICs. 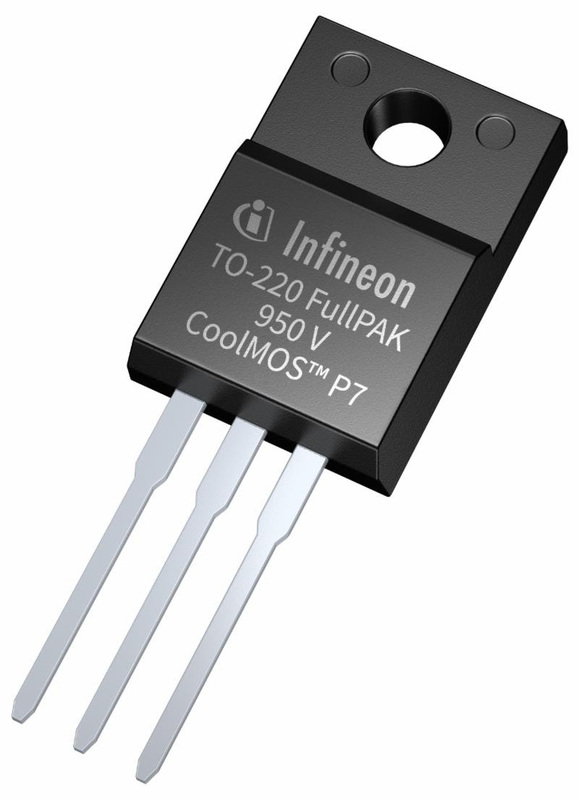 The MAX17262 features just 5.2 µA quiescent current, along with integrated current sensing. The MAX17263 features just 8.2 µA quiescent current and drives 3 to 12 LEDs to indicate battery or system status. Such LEDs are useful in rugged applications that do not feature a display. According to the company, electronic products powered by small Li-ion batteries struggle to extend device run-times to meet user expectations. Factors such as cycling, aging and temperature can degrade Li-ion battery performance over time. Inaccurate state of charge (SOC) data from an unreliable fuel gauge forces the designer to increase the battery size or compromise the run-time by prematurely shutting the system down, even if there is usable energy available. Such inaccuracies can contribute to a poor user experience due to abrupt shutdown or an increase in device charging frequency. Designers also strive to get their products to market quickly due to competitive demands. Maxim’s two new fuel-gauge ICs help designers meet end-user performance expectations and time-to-market challenges. The MAX17262 and MAX17263 combine traditional coulomb counting with the novel ModelGauge m5 EZ algorithm for high battery SOC accuracy without requiring battery characterization. With their low quiescent current, both fuel-gauge ICs prevent current loss during long periods of device standby time, extending battery life in the process. Both also have a dynamic power feature that enables the highest possible system performance without crashing the battery. In the MAX17262, an integrated Rsense current resistor eliminates the need to use a larger discrete part, simplifying and reducing the board design. In the MAX17263, the integrated, push-button LED controller minimizes battery drain and alleviates the microcontroller from having to manage this function. The MAX17262 is available at Maxim’s website for $0.95 (1000 pieces, FOB USA); the MAX17263 is also on the site for $1.49 (1,000 pieces). Both parts are also available via select authorized distributors. The MAX17262XEVKIT# evaluation kit is available for $60; the MAX17263GEVKIT# is available for $60.